Product prices and availability are accurate as of 2019-02-09 21:14:16 UTC and are subject to change. Any price and availability information displayed on http://www.amazon.com/ at the time of purchase will apply to the purchase of this product. 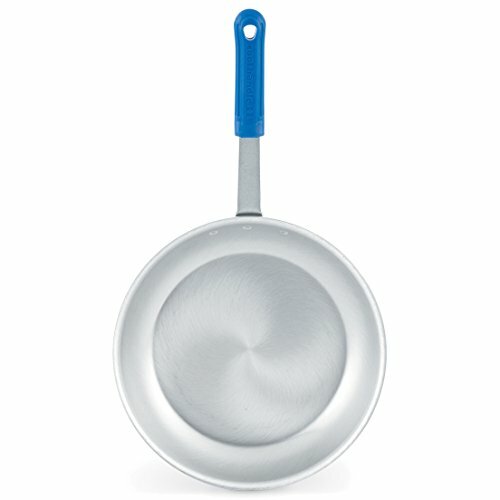 The Wear-Ever fry pan with its cool handle is a necessity for any kitchen. This fry pan is constructed from heavy-duty impact resistant 3004 aluminum. It don't allow to worry about catastrophic dents or wear and tear. The Ever-Smooth surface of the fry pan makes cleaning easy and helps eliminate food and bacteria collection areas. Ever-smooth makes cleaning greatly simplified. Smooth interior surface eliminates food and bacteria collection areas. Unique patent-pending manufacturing process ensures super-strong handle adhesion. Available in natural II finish. Bottom measures 5-3/4-inch diameter. Measures 8-inch diameter by 1-7/8-inch height.